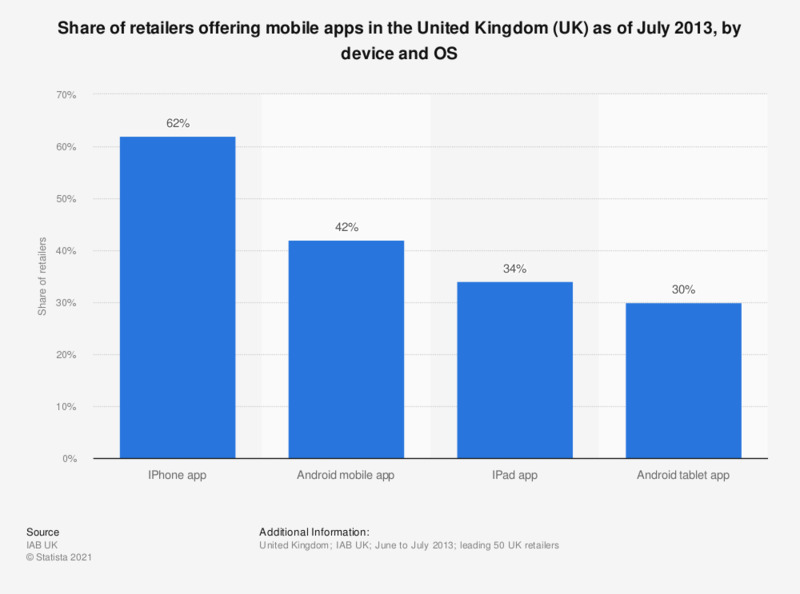 This statistic displays the share of retailers offering mobile apps in the United Kingdom (UK) by device and OS. Of retailers, 42 percent offered an Android phone app, while 30 percent offered an Android tablet app. Everything On "Mobile commerce in the United Kingdom (UK)" in One Document: Edited and Divided into Handy Chapters. Including Detailed References.